8 posts categorized "Second Life"
Again, none of this is to say Second Life is the most ideal virtual world platform for business, certainly not for all purposes. For one thing, it’s not anywhere near the largest online world to allow outside marketing (the kid-oriented Habbo Hotel and Gaia Online, to name just two, are larger.) And Time Magazine’s recent diss of SL, for example, is mostly fair (if arguably short-sighted.) Ultimately, my real bias is against careless reporting from respected publications which consider Second Life worthy of coverage– but somehow, don’t feel obliged to apply traditional standards of accuracy, when doing so. I think we're all still trying to figure out where Second Life and other virtual worlds fit into our ever evolving choice of communication media. But in order to do that, we do need to have solid data and accurate reporting. Reading the Forbes article, it definitely does seem rather skewed toward the negative side of things. It was a bit surprising to be flipping through our local paper, the Burlington Free Press, this morning and stumble upon an article about SecondLife called "Vermont eyes virtual world". Not entirely sure why, to be honest, except that perhaps a Free Press writer just thought it was cool to write about... and given that IBM is a large employer in these parts, things that IBM is interested in are potentially interesting to area residents. Cook envisions a virtual Vermont that includes rolling green hills, meandering wildlife, a portion of the Long Trail, the gold-domed capitol, the Bennington battle monument and aspects of downtown Burlington and the city's waterfront. An address in Second Life would give the state an opportunity to lure tourists by creating a spot for avatars from around the world to gather, socialize and experience virtually what Vermont has to offer. If he's going to go that far, he should probably include a virtual ski mountain, too, since that is so much of what we have here most years. They should also have a sugar shack... maybe you could help tap some maple trees and then connect the pieces to get syrup processing going. I do like the idea of "meandering wildlife"... if it were to actually be done it could be quite entertaining. Second Life cannot truly succeed as long as one company controls the Grid. Indeed it cannot... so it's nice to see that voiced by Linden Labs. In addition to the great writeup (by blogger Mark Wallace) of the panel session, the audio for that panel is also available, which makes for great listening (if this kind of thing is of interest to you). The thing missing from the Information Week article (and others quoted) is, of course, a timeframe. It's great that Linden Labs has the objective of open sourcing the server code. Ultimately, they really have to do so if Second Life is going to become the dominant "virtual world" as we look at how to make a 3D web. It's really a question of when Linden Labs can do it... not just from a business model point-of-view, but also from a technical point-of-view. They control all the servers right now and therefore can ensure the (sometimes limited) degree of stability that SL has. 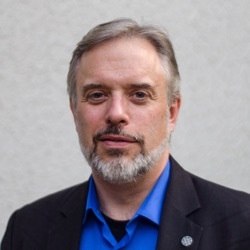 But allowing others to connect into that grid is a big step and is fraught with all sorts of issues that could even further destabilize the virtual world. We'll see. In any event, it is good to hear the continued public statements about making the server code open source. It's interesting to note, too, that on both of those articles as well as the Information Week article, there were lengthy comments left by Prokofy Neva, which make for interesting reading in their own right. Nice post... I think that, like you, many of us are trying to figure out what exactly Second Life means "in the big picture" of online communication. To me the interesting aspect is that the combination of increasingly faster CPUs and increasingly ubiquitous broadband access has brought us to a space where we can actually interact with people in a "3-D" virtual world in something close to real time - and so Second Life represents to me an attempt at a newer interface for online communication and collaboration. If you go back to the late 1980s, the dominant interface on computer networks was text "terminal window" (vt100, telnet, whatever) and all the interfaces were entirely text-based. Going into the early 1990s probably the leading interface at the time was the menu-based (and text) gopher. I still remember one of the first versions of my "Introduction to the Internet" courseware I wrote then that had a final chapter on new and upcoming technologies which talked about this thing called "World Wide Web" which was access by telnetting to info.cern.ch and logging in as "www". To follow a hypertext link you pressed the number on your keyboard that was after each link (see the image to the left). While the browsers we use have evolved substantially and brought in all sorts of added functionality, the reality is that we're still using the same basic user interface we had 14 years ago. And so the hunger and hunt is for what is the *next* evolution of the ubiquitous online interface. Enter Second Life as the latest poster child for what *might* be the next interface. We've been experimenting with virtual worlds since the early days of the Net... we've had MUDs and MOOs and all sorts of things. We've been trying "3-D" for ages, too. (Anyone remember VRML?) What I think is happening now is that the intersection of increased computing power and increased network speed, along with an incredibly massive number of people online (out of which to draw more early adopters and experimenters), has brought us to the point where we can actually think realistically about a richer collaboration/commmunication user interface than that of the web browser. 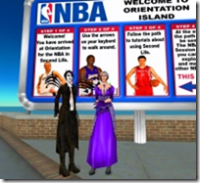 Will the end result be the interface of Second Life? Will it be one of the other contenders being introduced on almost a daily basis these days? Will it evolve out of one of the games like World of Warcraft? Will it be some combination of all of the above? I think those are the questions... and the reasons why I, too, put up with the clumsy controls, technical issues, annoying avatar name restrictions and other, um, "challenges" of Second Life. I think of it as "Internet 3-D interface version 0.4" (or 0.04? or 0.004?) and am intrigued to see how it evolves. P.S. Maybe one of these weeks I'll catch you at Coffee with Crayon. I went for a number of weeks but haven't been able to attend recently. Lee Hopkins launches a new blog - "Lee's Second Life"
For those interested in things related to Second Life, Lee Hopkins has now taken the plunge and rolled out a new blog... "Lee's Second Life" focused on SL. As he explains here, the blog is primarily to document the research he is doing toward a PhD. Nicely, he's gone in and back-filled the blog with entries from his main blog that relate to Second Life. Also, as he noted in an email, I'm very pleased to see that he included a graphic that let's me promote his blog (as I continue to rant about). Nicely done, Lee! Best of luck with your PhD research, Lee, and we'll look forward to reading about what you find and explore. 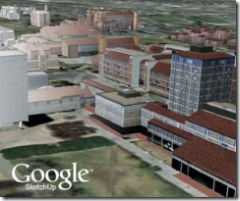 Google launches "Build Your Campus in 3D" contest... and linking SketchUp to SecondLife? 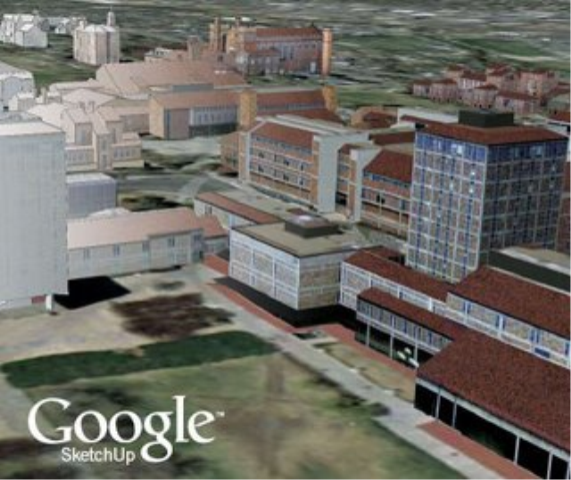 Per a post in the Google blog, Google is launching a "Build Your Campus in 3D" competition to encourage students to create a 3D version of their campus using Google's SketchUp tool... that are then linked in with Google Earth, of course. As a guy who used to play around with creating 3D objects in the now ancient era of VRML in the mid-1990s, it's intriguing to see how far the tools have come. Given that I know some of the folks reading here are interested in SecondLife, you may be interested in my post over on my DisruptiveTelephony blog about how SecondTalk will apparently let you easily use Skype from within SecondLife. I could have really written it in either blog, but chose to post it there. Anyway, check it out... and if you decide to try out SecondTalk and get it to work for you, I'd be interested in hearing about that. So what does this mean for regular Second Life users? Today? Probably not much initially. But longer term it has a huge potential impact. One of the barriers, in my opinion, to SecondLife or any of the other existing virtual worlds becoming the primary virtual world in use has been the fact that all of the client interfaces have been proprietary clients using proprietary protocols. No real way for people to understand what is going on or to build their own specialized clients. In contrast, think of the World Wide Web. 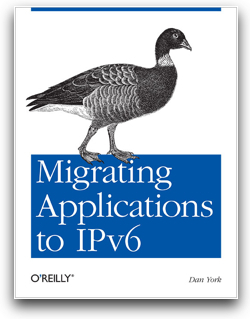 It's wide open using open protocols like HTTP and HTML that are easy for anyone to use. Anyone can write a web browser using whatever language they want. Anyone can create a web server... again in any language. (I've written one in the past.) And if you don't like one of the existing web browsers whose code is open source, you can take that source code and modify it. How many derivatives of Netscape's original code have been created? How many Firefox derivates are out there? Think of the rich number of browser clients that are out there. IE, Firefox, Mozilla, Opera, Flock... and seven zillion other ones. All competing in various ways with new features and capabilities. The 2-D web interface allows full innovation... and look what has happened! In contrast, for Second Life there is currently exactly one client. The one from Linden Labs. Other developers may use this as an opportunity to "scratch an itch" and fix something that has always bothered them or add something that they always wanted to add. Those itch-scratches will make their way back to Linden Labs who may (or may not) choose to incorporate them into the main SL client. The end result could be a much more stable SL client with more features. Or not... it largely depends on if developers are able to figure out what LL does in the code and decide to make changes. A lot of the Second Life development work currently in progress is focused on building the Second Life Grid — a vision of a globally interconnected grid with clients and servers published and managed by different groups. I'll park my GPL pedant hat for a moment, because the statement at the bottom of their licensing page does make we wonder a bit. Specifically, "Note that some components necessary for use with the Second Life viewerare licensed from third parties under different licenses." Are those "components" included as part of the actual distribution? Do they fit into the "mere aggregation" clause of the GPLv2? Or are they libraries linked in? And how are they linked? I don't understand exactly how the SL code is put together, but statements like that just do raise a red flag to me... hopefully Linden Labs did go over all of this with GPL-literate attorneys.